The iconic Iao Valley State Monument reopens at 7 a.m. today, at least temporarily, after sustaining severe damage from a massive flood in September, the state Department of Land and Natural Resources announced Friday. 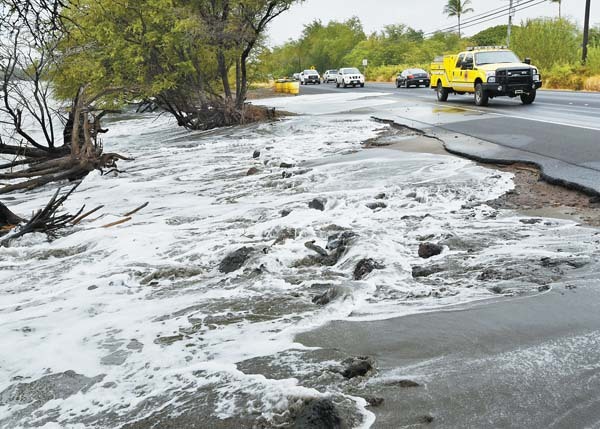 The park has been closed since heavy rains struck Sept. 13, flooding homes, destroying water pipes and wreaking havoc at Kepaniwai Park and Iao. Kepaniwai reopened in April. The state continues making repairs in areas of the park, but because of pending permit approvals to complete the project, officials with the department’s Division of State Parks decided to reopen Iao for residents and visitors during a hiatus in construction work. Officials said they expect construction work to resume sometime this fall. 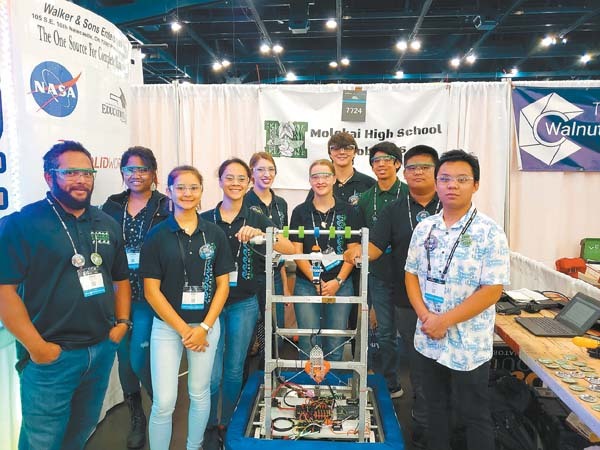 State parks officials coordinated repair work and plans with the tour industry and community and consulted with the ‘Aha Moku representatives to ensure the mitigation work was “consistent with cultural values and protocols,” Cottrell said. 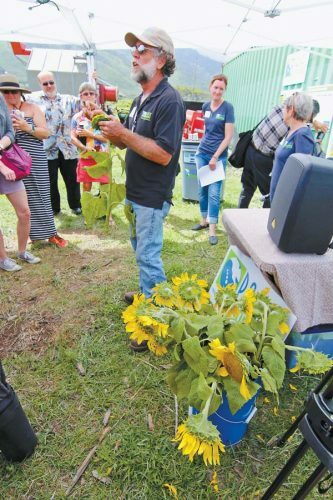 A private blessing occurred Friday with ‘Aha Moku representatives and those involved in restoration work, he said. Polynesian Adventure Tours has not scheduled bus tours for the first week of Iao’s reopening “as a demonstration of the collaborative relationship between state parks and tour industry to benefit the community,” the department’s announcement says. The decision allows residents to visit the park without buses returning. Vares Contracting began work Feb. 13 to remove green waste, concrete debris and railings. Maui Kupono Builders did interim slope stabilization along the Wailuku River. “Visitors will see a significant change to the slopes of the now wider river, which now sports a revetment of stacked rocks and 300 to 400 feet worth of Shotcrete slope coating to prevent loose material from falling down,” the announcement says. Changes to the parking lot include restriping and installation of flexible traffic delineators, as well as installation of a green security guardrail fencing at various locations to keep buses only within the upper parking area. Warning signs have been installed to prevent people from getting close to the stream’s edge. That work was done by Vares Contracting. Also, a pedestrian corridor has been marked with striping, surface repairs have been made to the pathways leading to the Hawaiian Garden and to the park’s summit lookout. Maui Kupono Builders repaired the iconic pedestrian bridge over Kinihapai Stream, which was outfitted with a new support structure. 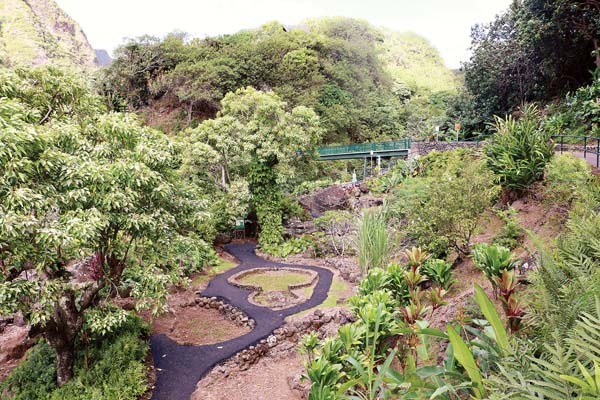 The Hawaiian Garden is open, with new security fencing installed to keep people away from a portion of a walkway that collapsed beyond repair in the flood. The floodwaters also severely damaged and removed the lower loop trail that had run along the stream. Although the area has been cleared, it remains fenced off and closed for public safety. State Parks officials are considering ways to make it safe for public access. Later this year, the State Parks Division will hold a community meeting to explain a second phase of work. It will require the park to close again. Work will include additional stream-side slope stabilization and other improvements. The total project cost is $1,837,341. 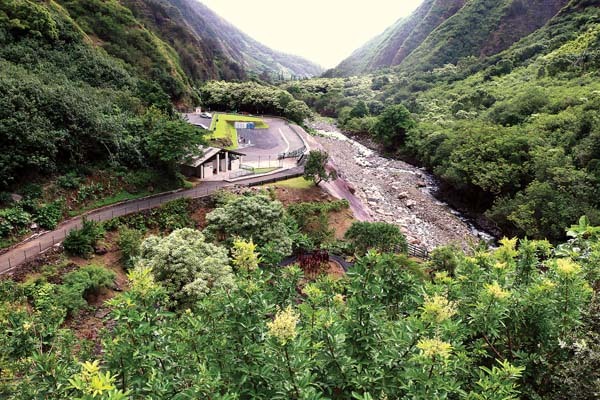 Iao Valley State Monument is among Maui’s top visitor attractions, drawing hundreds of thousands of visitors annually. The September flash flood racked up millions of dollars of damage to manmade structures like railings and pedestrian bridges and created serious erosion, stream channel and land movement. The division obtained emergency restoration funding and began clean-up and restoration operations within weeks of the flood, officials said. Debris running down the Wailuku River scoured the cliffside along the parking lot and left a sheer, exposed dirt face of about 60 feet. Stabilizing the cliff faces was a first priority for repair work. Floodwaters were recorded running at about 10,900 cubic feet per second. A 1916 flood, the largest since 1900 when data were first recorded, showed 17,000 cubic feet per second.